Woman 88yo suddenly got epigastric pain and vomitting. 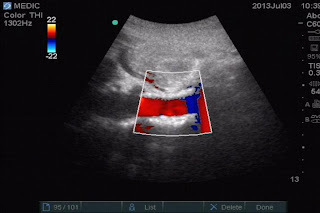 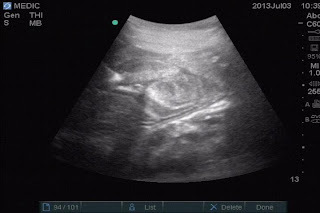 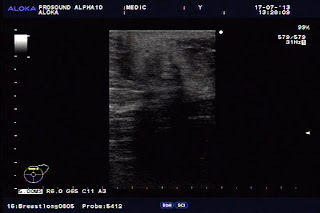 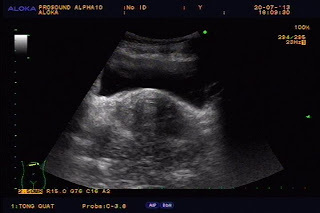 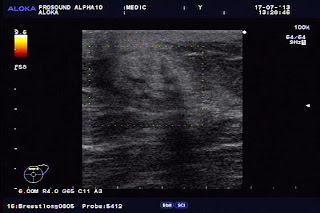 Ultrasound abdomen first nothing abnormal detected. 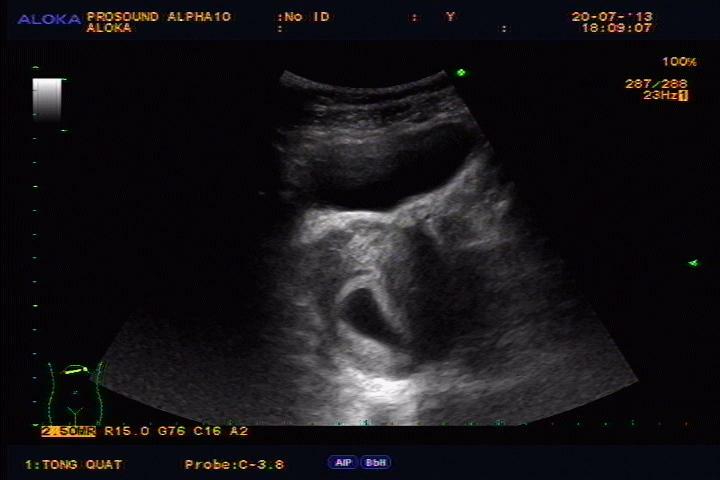 After 10 hours, ultrasound in second time shows small intestine dilated and hyperperistalsis, colon no dilated (see 2 pictures of small bowel dilated) but cannot make sure why small bowel in obstruction. Chest X-ray revealed air-water level at right subdiaphagmatic, so suspected a subdiapragmatic abcess. But MSCT detected small intestin moving over the liver and fixed to right diaphragm and in strangulation (see CT pictures). 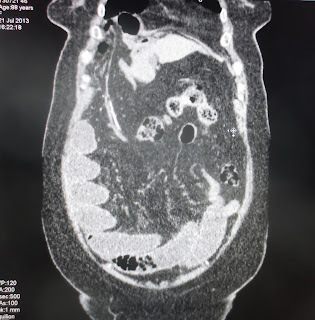 Summary: Ultrasound, X-ray, CT cannot make sure why small bowel in obstruction, but surgery in emergency is done. 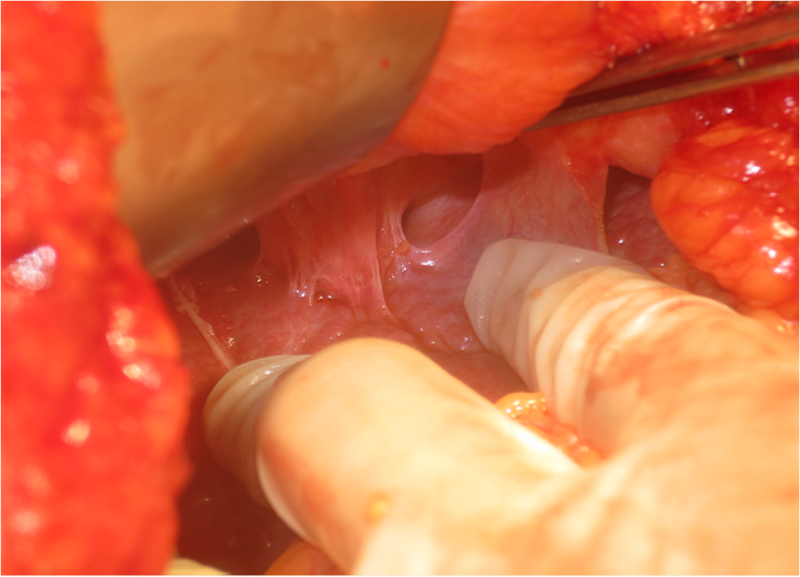 Emergency operation detected small bowel fixed onto falciform ligamentum by one orifice of 2 cm diameter. 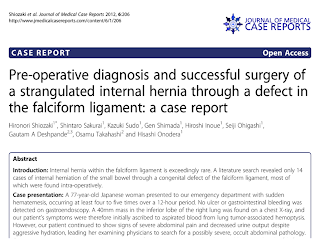 It is an internal hernia due to defected falciform ligamentum. 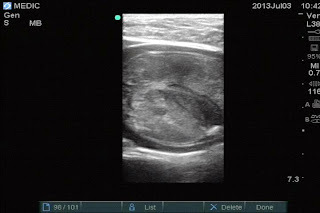 See picture of orifice of falciform ligamentum. 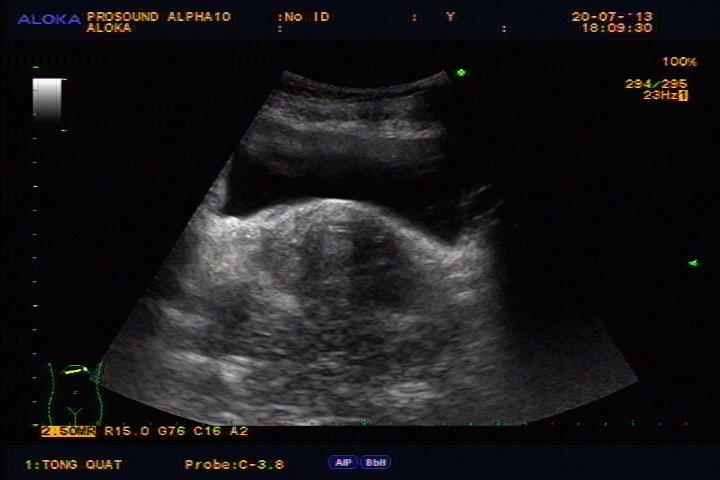 Woman 59 yo, herself detected a mass at her left breast, no pain, no hot. 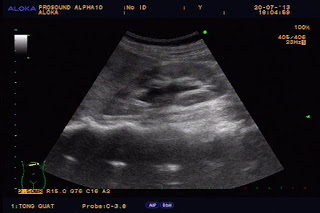 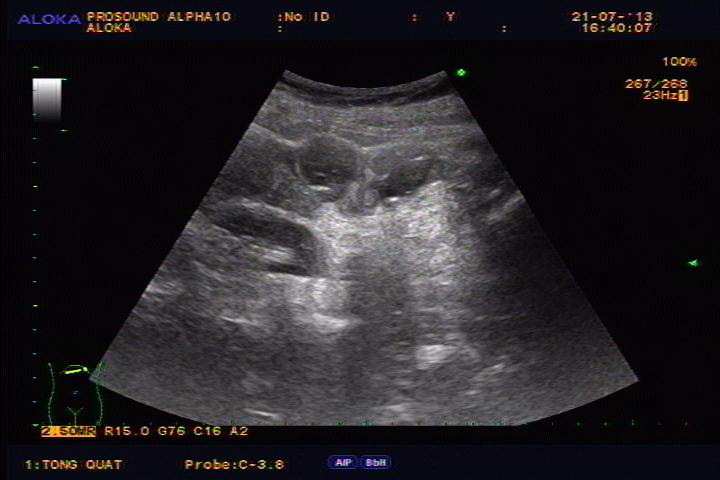 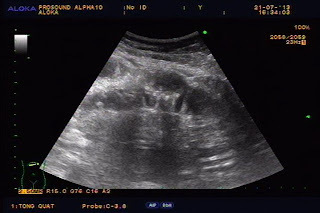 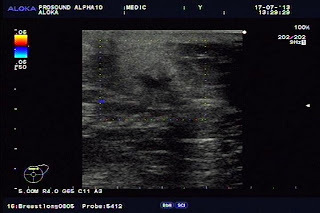 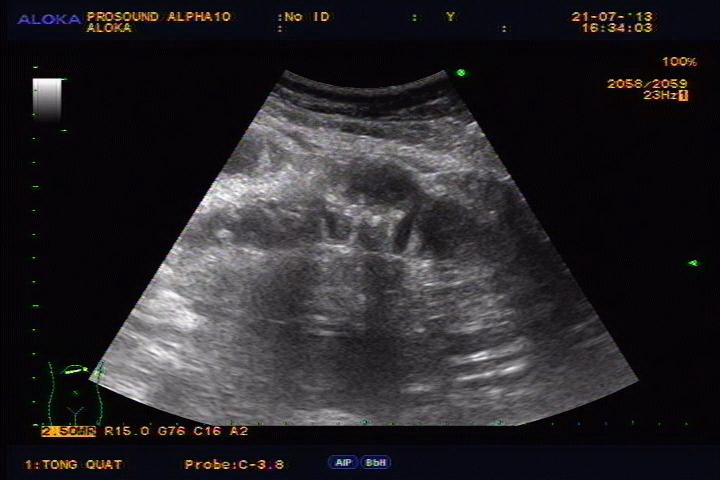 Ultrasound findings are a 3 cm mass under skin, no border, hyperechoic with central necrosis, doppler no hypervascular and without axillary nodes. 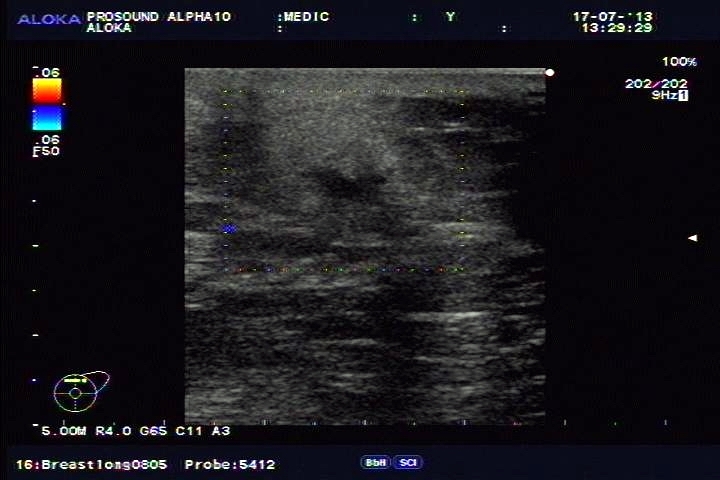 On mammography, the left breast had a small nodule in hyperdensity withoud calcification and well-bordered. Sonologist report of this case suspected fat necrosis or pseudotumor. 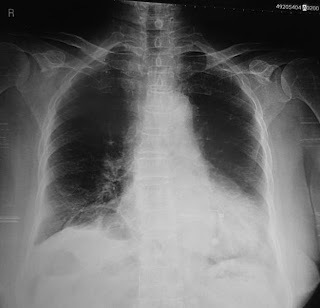 RADIOLOGIST CANNOT DIAGNOSE THE LESION ON MAMMOGRAM. 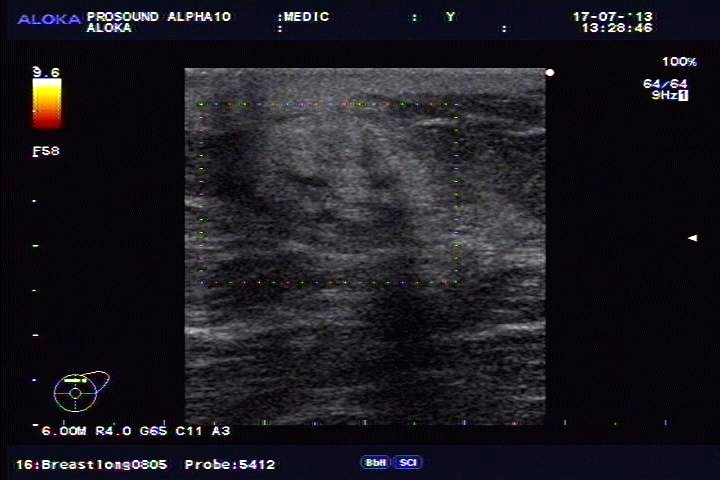 HE PREFERED TO DO FNAC. AFTER ONE DAY, FNAC REPORT WAS FAT NECROSIS, NO NEED OF OPERATION. 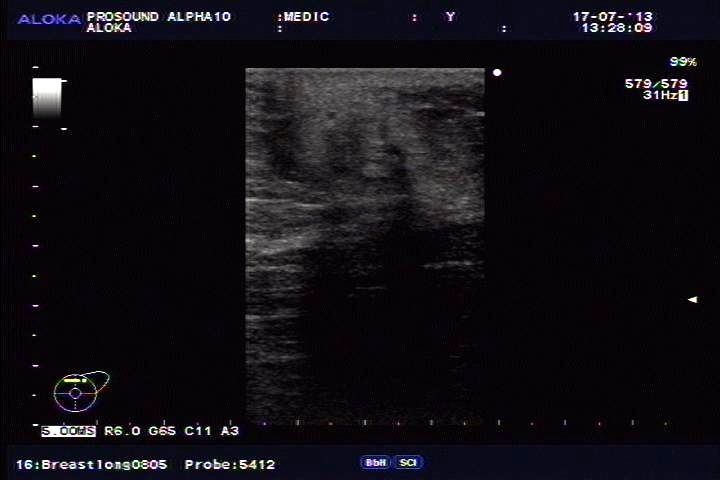 Left upper extremity angiography : The half-moon images of contrast material filling showed in the left ulnar artery. Because the sac had small pedicle (seen on Color Doppler ), we decided to embolization the pseudoaneurysm by histoacryl glue. 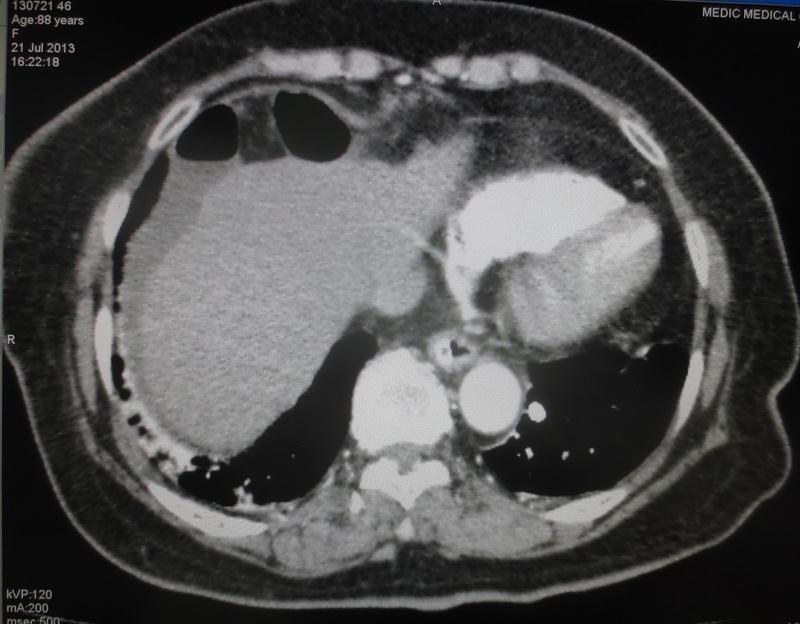 After embolosclerotherapy, the pseudoaneurysmal sac disappeared.